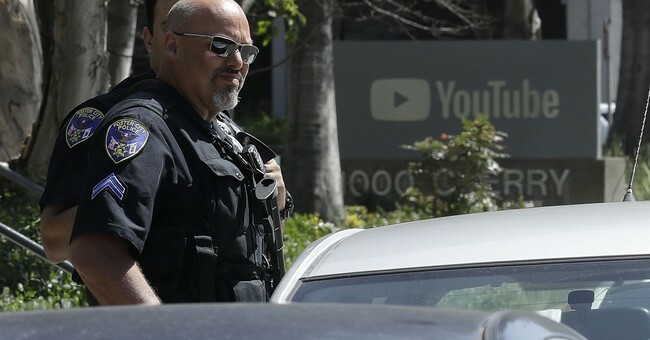 Police confirmed they found and questioned Nasim Najafi Aghdam, the alleged YouTube shooter, the morning of the attack. Officers located Aghdam, who injured three before killing herself Tuesday, after her father, Ismail, had reported his daughter missing for several days. He had even warned police she could be heading to YouTube’s headquarters because she “hated” the company and was upset over the demonetization of her videos. "Officers located an adult female by the same name asleep in a vehicle in a Mountain View parking lot early this morning," Katie Nelson, a spokesperson for the Mountain View Police Department, told BuzzFeed News. "The woman confirmed her identity to us and answered subsequent questions." Nelson told Mercury News that after speaking with her, officers informed Aghdam's family that she had been located and was safe. The father told CBS2 News’ reporter Tina Patel that the woman identified as Nasim Aghdam had gone missing for a few days. He said he had called law enforcement in the San Diego area because he was concerned about her recent ire towards YouTube. As Beth reported, Aghdam was clear about the reasons she was upset with YouTube. "Be aware! Dictatorship exists in all countries but with different tactics!" she wrote on her website. "There is no free speech in the real world and you will be suppressed for telling the truth that is not supported by the system. Videos of targeted users are filtered and merely relegated so that people can hardly see their videos."